$149 Single and DoublePlus 16% State and Local TaxesAll reservations must be accompanied by a first night room deposit or guaranteed with a major credit card.Hotel will not hold any reservation unless secured by one of the above methods. Immediately reserve your room. Room block is limited. ***Use the hotel link below to reserve your room!! Special Note: In order to receive the discounted hotel rate, you must be registered for the conference either by the advance registration due date of February 22, 2019 or register on-site for the conference. 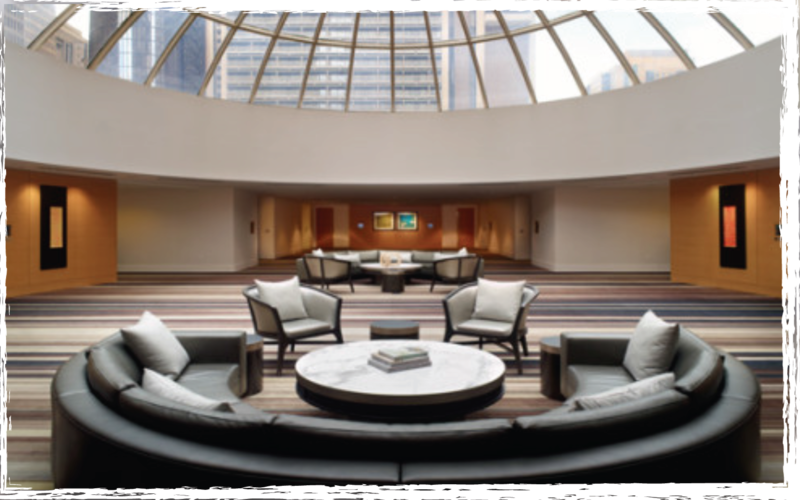 Experience urban energy and a stylish vibe at the newly renovated Atlanta Marriott Marquis, one of the premier hotels in downtown Atlanta. Conveniently located in Peachtree Center, MARTA (Metropolitan Atlanta Rapid Transit Authority) access offers guests easy direct access to HarZield-Jackson Atlanta International Airport, just 15 minutes away. The magnificent hotel is steps from the Georgia Aquarium, World of Coca-Cola, and close to the CNN Center, Center for Civil and Human Rights, Georgia International Convention Center, College of Football Hall of Fame, and the Mercedes-Benz Stadium. The breathtaking atrium is marked by the 50-foot color changing sail of Pulse, a cool cocktail lounge and iconic symbol of the hotel. Unique dining options include Sear, High Velocity and Starbucks. Relax in The Spa and stay fit in the 24-hour fitness center. The NABSW annual conference is a professional conference. When asending plenary sessions, workshops or institutes, business attire or African attire is appropriate. Bring a wrap, jacket or sweater since meeting rooms are often cold and beyond the control of the conference staff. The average daily temperature in Atlanta during the month of April is 73 degrees. 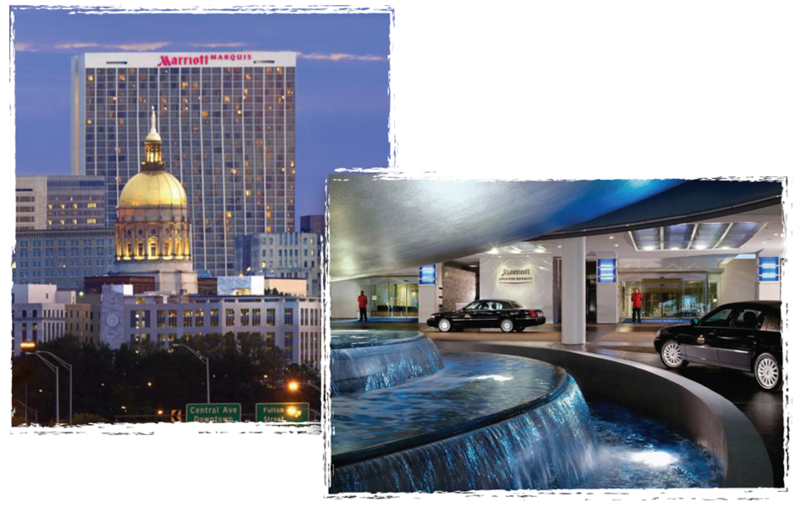 Hartsfield-Jackson Atlanta International Airport (ATL) is 15 minutes from the Marriott Hotel. MARTA: Take the Red or Gold Line for Marta at Airport (located in the Grounds Transportation Area) and exit at the Peachtree Center Station. Take tall escalator to Peachtree Center Food Court and there’s a skybridge that will take you directly inside of the hotel. NOTE: When choosing self-parking lots nearby, please consider a covered lot vs. an uncovered lot due to chances of break-in. To make your hotel reservation, please click the Overflow Hotel button above or use this link: https://www.hyatt.com/en-US/group-booking/ATLRA/G-BSWO If you need additional assistance, please contact us at 877-803-7534. If the group rate is no longer available, prevailing rates may be offered for some or all of your dates.